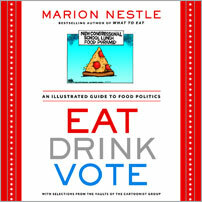 In Eat Drink Vote, Marion Nestle, described by Michael Pollan in Forbes as the #2 most powerful foodie in America (after Michelle Obama), combines her engaging text with over 250 political cartoons and comic strips from the Cartoonist Group which licenses cartoons from over 50 leading cartoonists including nine winners of the Pulitzer Prize. 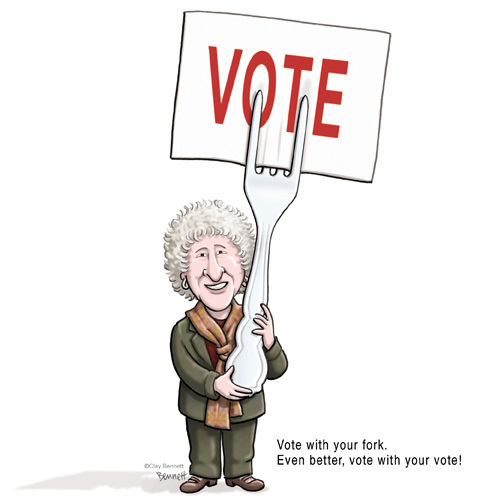 Eat Drink Vote helps readers to understand how diverse factors influence their food choices and nutrition. These include agricultural policy, FDA regulations, food distribution, labeling, marketing, food safety, and now, increasingly, the burgeoning food movement. Eat Drink Vote reminds readers that while voting with their votes is important, they also have have an opportunity to encourage a healthier food system as they purchase and consume food. Why text and cartoons?Â As Nestle states in the book's introduction, "They (cartoonists) tap into the emotional core of complicated concepts and convey at a glance what might otherwise take pages to explain. 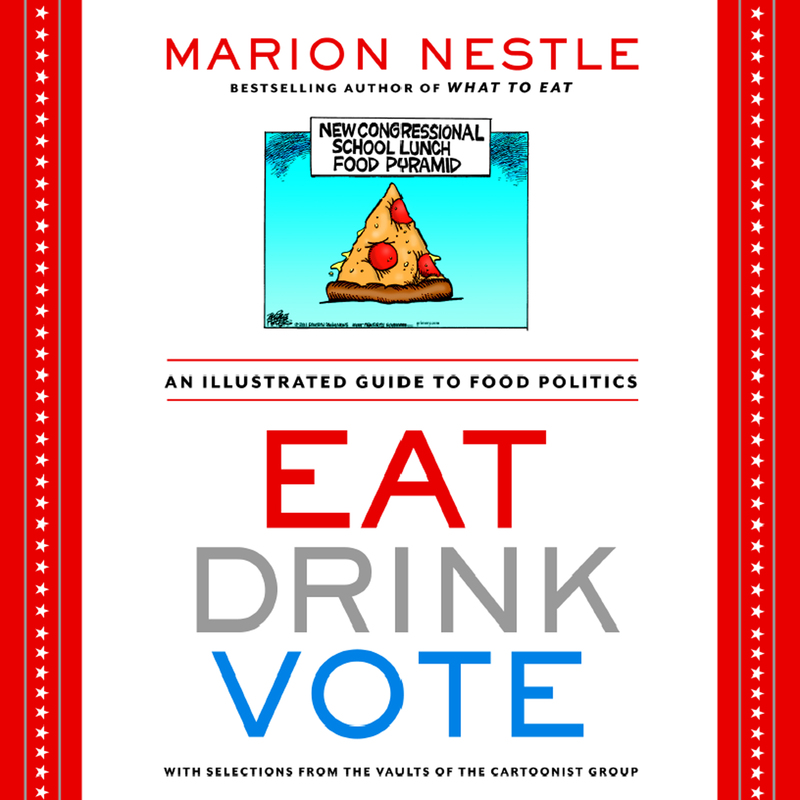 "Â This combination showcases Nestle's expertise about wide-ranging food issues in a straight-forward manner that both food movement veterans and newbies can appreciate.Â The politics of food doesn't have to be black and white.Â With the addition of cartoons - most of them in color, it can be approached in a new way.